Finally… an outing! We have been ‘home alone’ sort of speak for too long. So we took the truck out and did a quick jaunt to Bull Pen for a simple lunch outing. Bull Pen is just outside of Camp Verde and has several trails that go down to Clear Creek. 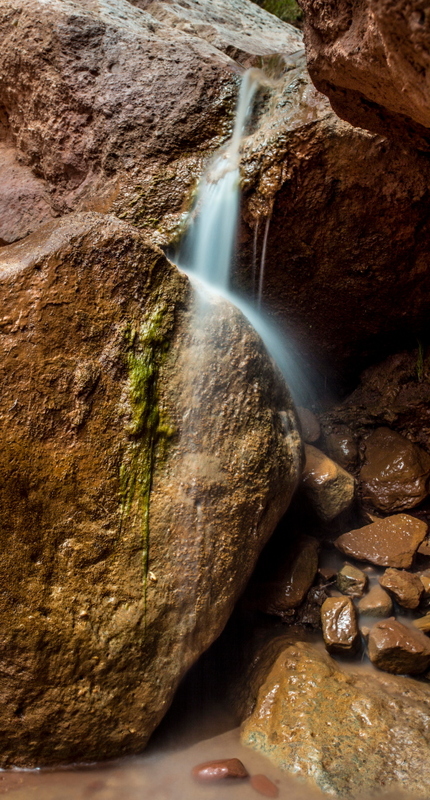 There is nothing like sitting outside the babbling of the water rushing across boulders forming their own waterfall. It’s peaceful and relaxing… just what the dr. ordered. We were surprised how many people were actually there for during the week. We found a nice spot to ourselves and relaxed in this beautiful environment, if only for a few hours. While our fall with all it’s colorful glory, has come and gone… at lower elevations such as Camp Verde & Cottonwood, fall is in full color. Just off SR260 along FR708, a LONG washboardy dirt road, is Fossil Creek. The distinctive yellowy orange cottonwood leaves are falling everywhere. I never tire of the abundant aqua waters cascading over endless rocks and fall trees, making for a sublime serenity. We sat and had lunch and watched the water go by. What better way to relax and spend the day.